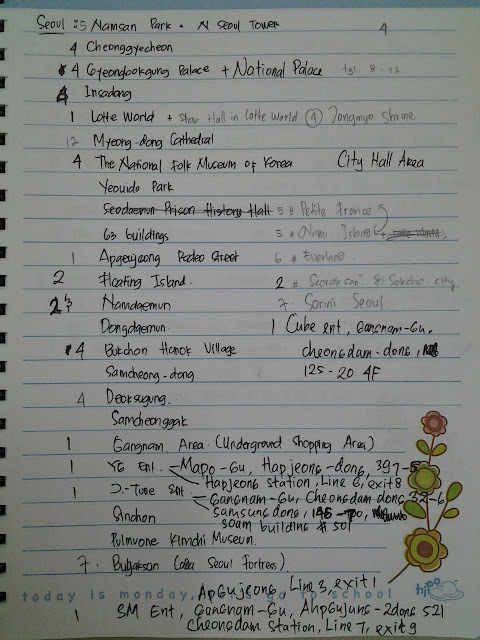 So, after i have the map, i start to make a list to where i want to go. 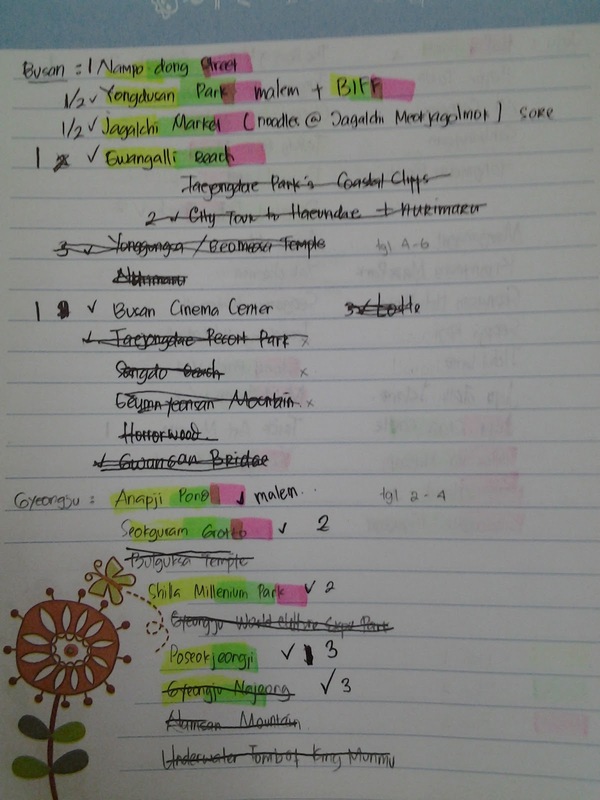 I dont care about where n can i go or cant i, just list it as many as i can. 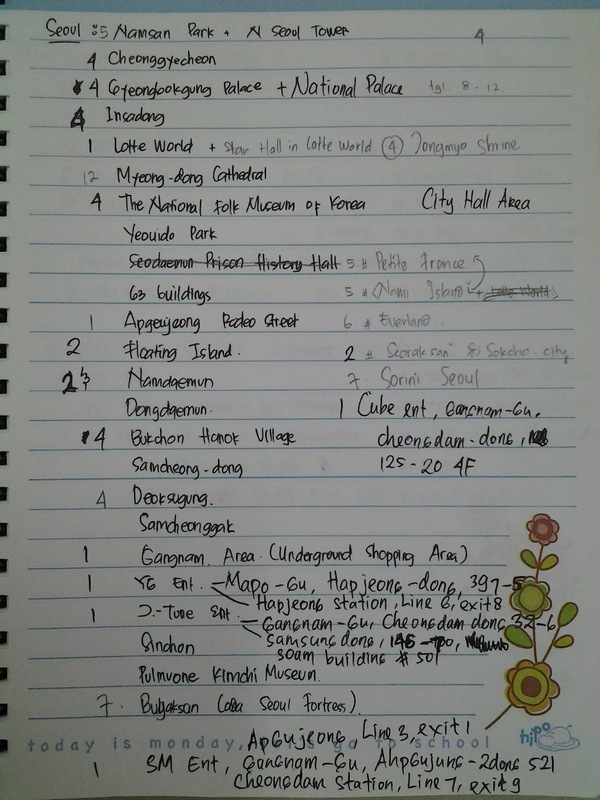 They even give a suggested itinerary, but i dont think it too helpfull. They make it too packed, plus in some place (like jeju n gyeongju) doesnt have subway, just busses, n it took time to go from 1place to another. But they give every attraction a direction how to get there. Its usefull. 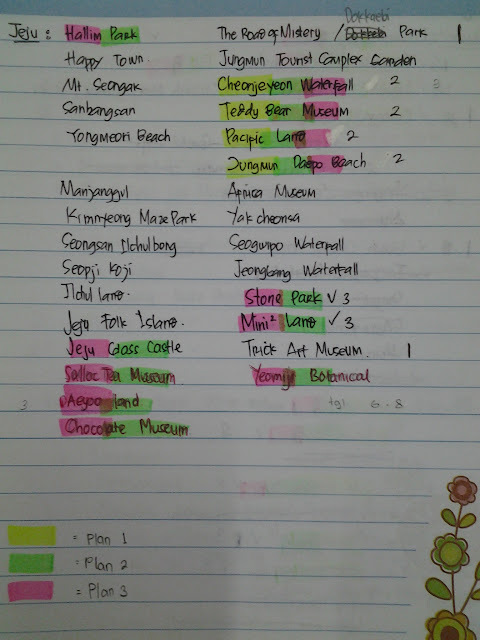 And also, i booked flights for my trip inside korea. Eastarjet offers you a great deal, but they only have gimpo-jeju roundways, and some unknown places for me. Other than that, korea got jejuair and airbusan as their budget airlines. I didnt use jeju air though, coz i travel on peak season n i think they dont offer you an earlybird fare. 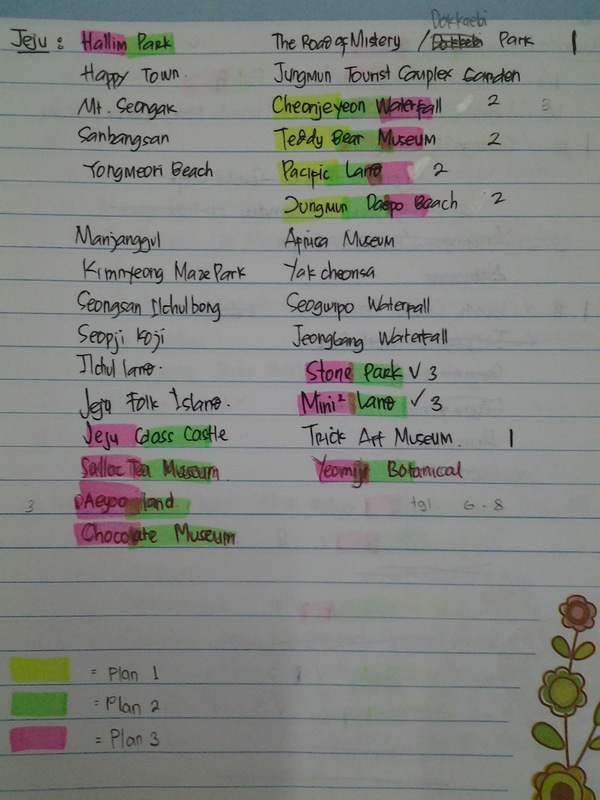 Instead, i use airbusan for my gimpo-busan n busan-jeju flights, and eastarjet for my jeju-gimpo flights. Beware if you travel on their peak season (july-august) coz i almost didnt get a seat eventhough i booked it on february and i travel @ august, n i got a seat in pretty not good time. Evening.. waste of time. For eastar jet, it cost me around 46000won. For busan-jeju flights it cost me 40600won, and 92200 for gimpo-busan (i think they didnt have the early bird fare coz busan might've been their main travel to go thing on summer).